The twin concepts of "proof" and "computation" play a fundamental role in both mathematical logic and theoretical computer science. The aim of this CUSO Winter School in Mathematics and Computer Science is to introduce to students some important features of these concepts, focussing on topics such as proof theory and computability, duality and computation, and proof-theoretic applications in algebra. The meeting will also provide an excellent opportunity for doctoral students to meet leading practitioners in this field and hear about topics at the forefront of current research. 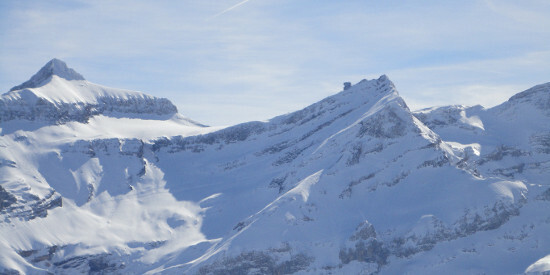 The school will take place 27-31 January 2013 at Hotel Les Sources, Les Diablerets. The program will consist of three one hour tutorials in the mornings, an invited lecture each evening, and free afternoons for skiing, snowboarding, and research. All fees and travel costs for Mathematics and Computer Science doctoral students at Swiss Universities will be covered. For other participants the fee is CHF 636. Please register before 16 December 2012 by sending an email to George Metcalfe at george.metcalfe@math.unibe.ch. Copyright (c) ProofComp 2013. All rights reserved. Design by Free CSS Templates.